Sun and clouds mixed. A stray shower or thunderstorm is possible. High 82F. Winds WSW at 5 to 10 mph..
Cloudy skies. Slight chance of a rain shower. Low 59F. Winds W at 5 to 10 mph. 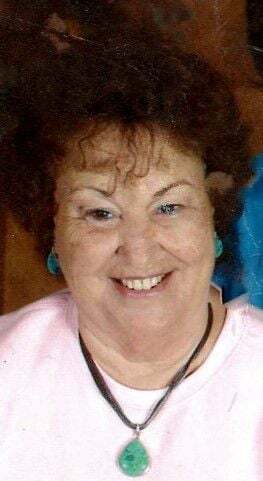 Obit-Margaret Ann (Combs) Johnson, age 73, of Jackson, Ky., passed away on Sunday, March 24, 2019 at the Lee County Nursing Home in Beattyville, Ky. She was born January 3, 1946 in Breathitt County, Ky., and was the daughter of the late Granville and Nora (Watkins) Combs. She was preceded in death by one sister: Gladys Combs; six brothers: J.L. Combs, Lloyd Combs, Billy Combs, Robert Combs, Charles Edward Combs, Finley Ray Combs. She is survived by one son: Virgil Lee (Ina Gayle) Johnson of Jackson, Ky.; one sister: Loreane Asher of Manchester, Ky.; one brother: Thomas Lee Combs of OH; three granddaughters: Sarah Johnson, Tasha Leanne Johnson and Brandi Norah Johnson; seven great grandchildren: Bekah Gwin, Aaron Lee Turner, Jordan Manns, Paxton Virgil Lee Johnson, Dennis Ray “Finley Ray” Manns, Kenzlee Margaret Johnson, Kobi Johnson. Funeral services were held on Wednesday, March 27, 2019 at noon at Deaton Funeral Home Chapel. Burial in the Watkins and Combs Cemetery at Noctor, Ky. Visitation on Tuesday at 5 p.m. Deaton Funeral Home in charge of arrangements. Serving as pallbearers were: family and friends.